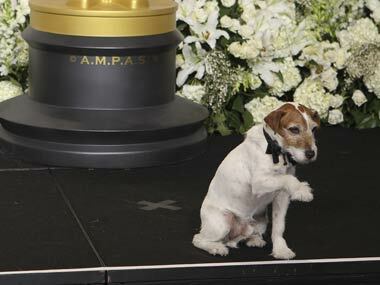 The adorable dog Uggie, famous for his role in the academy award-winning film "The Artist," had to be put down due to a tumor, celebrity website TMZ reported. 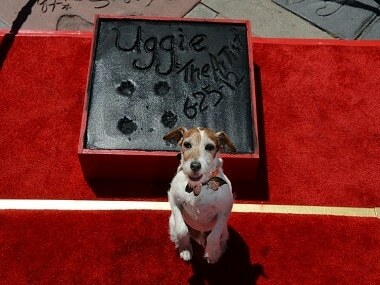 Uggie, the lively Jack Russell terrier whose antics in Oscar-winning film The Artist stole audience members' hearts, became the first dog on Monday to leave his prints beside the likes of Marilyn Monroe and Clark Gable. 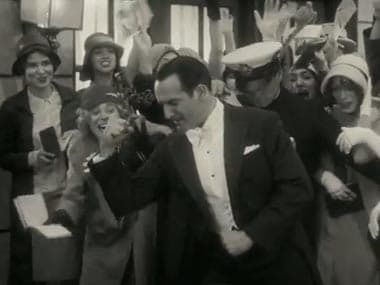 Over the past three decades, there have been two movies starring an animal, and only one featuring the bond between man and his best friend. Why is that?